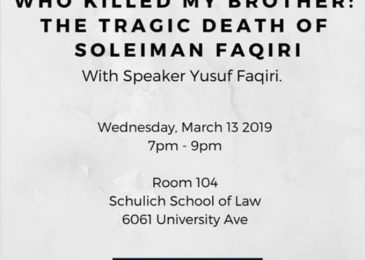 On Wednesday March 13 Yusuf Faqiri will be in Halifax to talk about the death of his brother Soleiman, who lived with schizophrenia and was killed by guards while in solitary confinement in Ontario. Yusuf will speak about deaths in custody, the journey to justice for his brother, and the treatment of mental illness in Canada. Schulich School of Law, room 104, 7 PM. 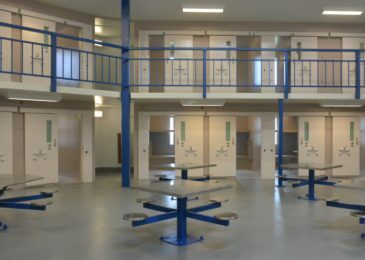 At least eleven men and women have died prematurely in Nova Scotia prisons and jails since July 2011. We talk with prison activist Martha Paynter to understand these shocking numbers. News release: The excellent Women’s Wellness Within celebrates its 2nd anniversary as a registered non-profit organization with Top Ten Lists and Immediate Actions. 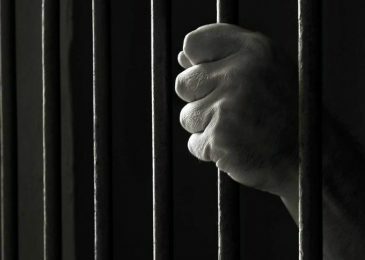 News release: On January 30, 2019, in light of Bell Canada’s “Let’s Talk” campaign, Women’s Wellness Within would like to take the opportunity to join our friends with the Jail Accountability and Information Line (JAIL) in highlighting the importance of mental health for prisoners in Canada. 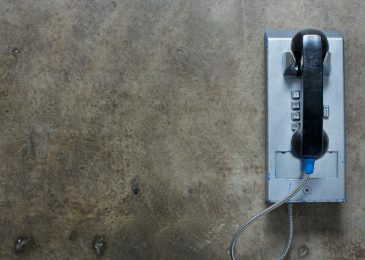 Limiting communication for incarcerated Canadians exacerbates the already pronounced effects of confinement on prisoners’ mental health. We are asking our decision-makers to prioritize the mental health of all Canadians. 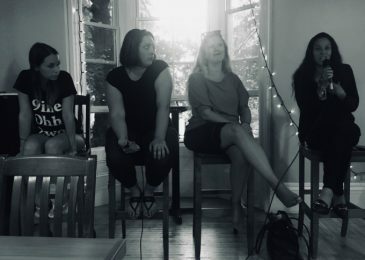 Rebecca Hussman went to a talk by registered nurse and activist Martha Paynter about the shocking lack of health care for women in Nova Scotia prisons. Paynter dedicated her talk to two women who died while in Truro’s Nova Institution for Women in 2015: Veronica Park and Camille Strickland-Murphy. “… this is what happens when we inadequately care for people inside,” Paynter said. 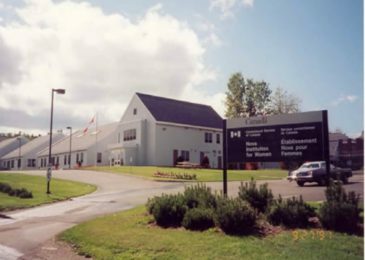 New contributor Yazan Khader attended Monday’s Burnside Jail info meeting. Here’s his report. “Despite being pregnant she lost weight in the first few months at Burnside,” a formerly incarcerated mother reported. “She blamed this on the food offered at Burnside, which “wasn’t nutritious” and “not fully cooked. She was often given old leftover food to accommodate her dietary needs, she said. News release: Please join Women’s Wellness Within for our first ever Annual General Meeting on Wednesday April 25, 2018. It’s needlessly difficult to make a call from the Nova Institution for Women in Truro, says Martha Paynter of Women’s Wellness Within. Phone charges should be dropped, and internet access should be provided. Current restrictions just add to the prisoners’ sense of isolation and emotional duress. Turns out the phone provider is Bell Canada, of #BellLetsTalk fame. 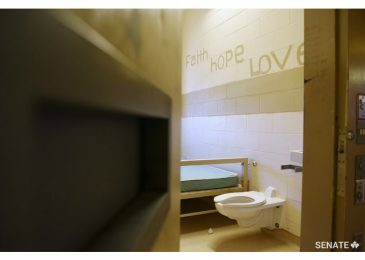 Women incarcerated in the Nova Institution for Women in Truro have not had access to volunteer doula services since June of this year. 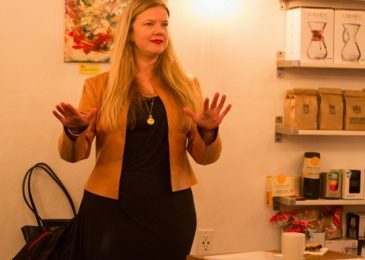 As a result women may well be at risk of losing their babies, says the coordinator of the partnership that used to provide the doula services.